Our BodyByJR 12 WEEK SHAPE, BUILD & CUT PLAN which can be purchased online for just £79.99. If you’ve answered yes to any of these points, then this plan could be for you! 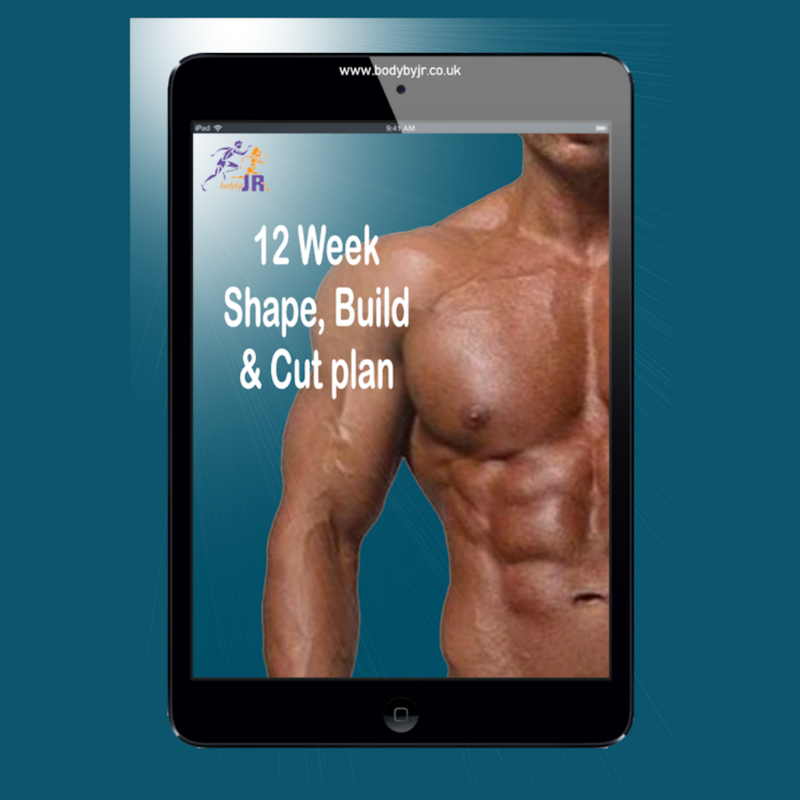 BodyByJR 12 Week Shape, Build & Cut Plan – Want to know more? SHAPE – PHASE ONE – designed to get you eating frequently throughout the day, healthy and enjoyable foods to support 3/4 x weekly training sessions. At this stage you will drop body fat. BUILD – PHASE TWO – increases in food volume and frequency to assist with muscle growth (body fat reduction may not be so apparent). Training will increase in volume and frequency too. CUT – PHASE THREE – reduction in food and eventually a carbohydrate cycling plan to strip away remaining body fat. The alteration of carbohydrate intake will prevent a fat loss plateau and will maintain metabolic rate and workout performance. This method is quite aggressive so is very effective but must remain short term. PLEASE NOTE: WHEN PURCHASED, THIS ITEM IS COPYRIGHT AND CANNOT BE SHARED VIA EMAIL OR ANY OTHER METHODS.